Finished quilt measures 44" x 50". This quilt kit comes with the comfort of Psalms II Panel. 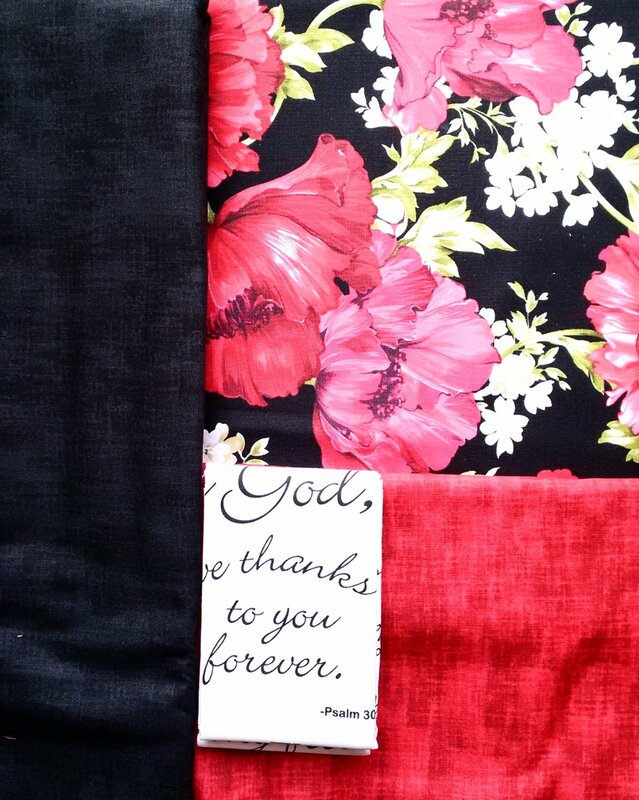 The quilt pattern showcases verses from the Bible with bright red stars and floral border. Kit comes with Guiding Stars pattern, fabric for top and binding, including the Comfort of Psalms II focal fabric. Backing and batting NOT included.